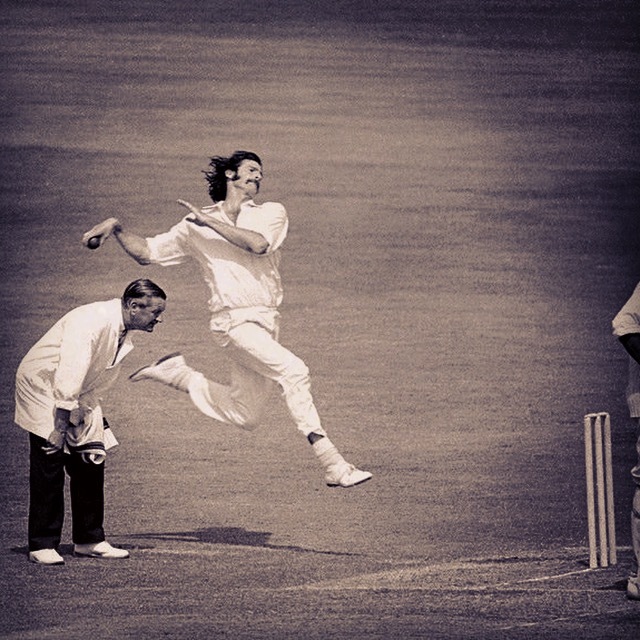 Dennis Lillee was one of my childhood heroes and I love this image of the fearsome fast bowler at the peak of his power. As leaders we need heroes. Not the football kicking, cricket ball bowling, guitar slinging or cape wearing heroes of our childhood, although they have their place, but that person who we can approach with confidence just when our own belief is getting shaky. There is most likely something on your mind now that you need to resolve, but it is not only the complexity and ambiguity of the issue that can overwhelm, but your growing sense of isolation. So go find yourself a hero. Someone you can trust, both their character as well as their expertise and experience. But that is only half of your responsibility. Make yourself available to be a hero. You have the requisite wisdom to help someone – someone like you. So go find one, and go be one.